Princess Polly is a best-selling, potty-training phenomenon! Now her well-loved potty adventure come..
"Nappies are YUUECH!" said the little princess. "There must be something better!" 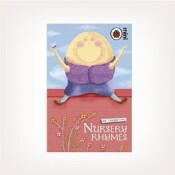 At first, the Litt..
Potty training has never been so easy, or so much fun, as with this toddler board book for boys. The..
Princess Polly's Potty is an entertaining picture book from Ladybird that helps parents strugglin..
A very special, spooky story from Dr. Seuss – with glow-in-the-dark cover!Then I was deep within..
Dr.Seuss's What Was I Scared Of? This never-ever-before-seen picture book by Dr. Seuss about making up one's mind is the literary equ..
Dr.Seuss's What Pet Should I Get? Just how wacky can a Wednesday get?! With shoes on the wall, tortoises in trees, pigs without legs a.. The beloved bestseller from Newbery Medalist and National Book Award winner Louis Sachar (Holes), wi..
From the world's favourite author, David Walliams - ten cautionary tales and a delightfully dreadful..
SIX hilarious and moving novels from bestselling, critically acclaimed author, David Walliams, in on..
A wonderful retelling of Oscar Wilde’s classic story about a fierce, angry giant, who wants nothing .. Hailed as “the heir to Roald Dahl” by The Spectator, the UK’s #1 bestselling children’s author, Davi.. The Grinch: The Story of the MovieFast paced, easy to read novelisation of the new movie based o.. The one and only Cat in the Hat gets a brand new look as he once more steps into the lives of Sally ..
To accompany the release of the live action movie of The Cat in the Hat, starring Mike Myers, Harper.. Invaluable life advice from the one and only Dr. Seuss, now in a luxurious mini-hardback gift format..
Rebecca went to the funfair with mum and dad. She didn’t like the hall of mirrors, and the rollercoa.. This fabulous compilation of four of Dr. Seuss' most wacky tales, packed with colourful zany picture.. This hilarious book will have children tying their tongues in knots as they try to read aloud the mo..
Dr.Seuss's - Oh Say Can You Say? Mog is the forgetful cat that everybody loves, and now you can learn to count with her in this brand.. Learn your ABC from apple to car with Richard Scarry and Lowly Worm! Join Lowly Worm and ..
Learning your numbers is as easy as 1,2,3 with Richard Scarry and Lowly Worm!Join Lowly Worm and..
From the million-copy bestselling author of THE PARENT AGENCY and BIRTHDAY BOY comes a wildly entert.. This range of Maths and English activity books really helps to boost your child’s progress at every ..
AMAZING - The numbers workbook is packed with hours of reusable exercises that will keep your child ..
School Zone - "Numbers Fun! Write and Reuse Workbook "
AMAZING - Counting and grouping reinforces sets and numbers. It's a fact that when your child unders..
AMAZING - Help your kindergartner grow into a go-getting first grader! 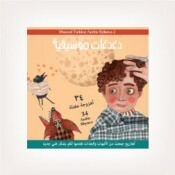 Kindergarten Basics introduce..
Al Yasmine Books - The Spider's SurprisePages: 12Age: 3+ yearsWeig..
Ahmad makes a new friend, a very special friend that is literally out of this world. 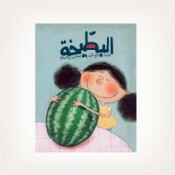 On a mission t..
Al Yasmine Books -Who’s Under The Bed? Jameel is not keen on visiting his older aunt, he often feels bored when he does. But then he gets ..
A sweet little girl suffering from Down&#39;s syndrome wants to join the girls playing rope in ..
A science fiction series in the Arab world would not be complete without a story about the entrancin..
With a big event coming up, Karma is confident about her contribution in leading her class to winni..
On Karma&#39;s first day of school she loses her new peach colored pencil, and there&#39;s a..
Al Yasmine Books - Who Took My Peach Colored Pencil? For all lovers of science fiction, this story will be a winner. What is there a more entertaining co.. Karma uses her mother&#39;s mobile phones to take a picture of herself while playing with her c..
Ahmad did not imagine he will be working this summer, but to his surprise, he eventually takes a li..
Ahmad watched as the neighbor fidgets nervously, looking left and right, while dragging a suspicious.. Discover dinosaurs, climb mountains, search oceans and seas -- while solving fun and challenging wor..
AMAZING - Your child will take a journey with words that leads all over the world. 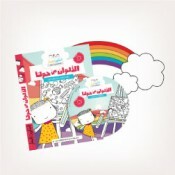 Super Deluxe Word..
AMAZING - Your child will expand his or her vocabulary, while knowledge of geography and history als..